I’ve read so many books this year, some fantastic, others not so much. Earlier this year, I did a post on my favorite books from the first three months. So I thought I would check back in with my favorites from then until now. These are the books that have stayed with me, and I cannot stop gushing about. I have raved about Lucy Parker before in my Rom-Com Recaps, and Act Like It is one of the many reasons why. Lainie and Richard are costars in a play on the West End. When Richard has yet another incident in the press, the play’s management team wants Lainie and Richard to make some public appearances together to boost the ticket sales, as well as Richard’s reputation. Lainie has zero desire to do this until ticket sale profits for several performances will go to her charity, Shining Lights UK. Neither Lainie or Richard are happy about this arrangement, but begrudgingly agree to it. As they begin to spend time together, they start to actually like each other. 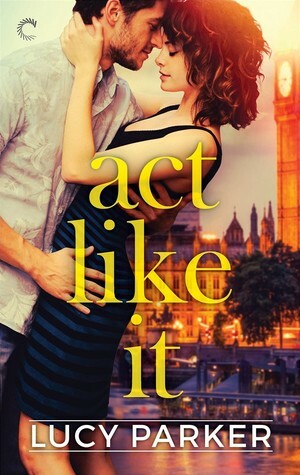 Act Like It is quite possibly the best portrayal of the fake relationship trope I’ve read, which is my favorite trope. Every time I read it, I swoon for Richard’s grumpiness and Lainie’s wit. If you like Act Like It, you’re in luck because Parker is continuing her London Celebrity series. Everyone raves about When Breath Becomes Air and rightfully so; it is one of my all-time favorite books. Nina Riggs’s The Bright Hour was hailed as the next When Breath Becomes Air. It follows Nina as she finds out that she has breast cancer. When she discovers this, her mom is also suffering from cancer and no longer responding to treatment. She and her husband John have two small boys, so she chooses very aggressive treatments. However, her cancer is too widespread; this is her memoir of her fight against cancer. Like I did in When Breath Becomes Air, I sobbed my way through this. But it is one of those books that I cannot get over. It is a beautiful tribute to family. And since the book was published, Lucy Kalanithi (Paul Kalanithi’s widow) and John, Nina’s widower, struck up a friendship and even began a relationship. Read that article and be prepared to cry. This is French’s second book in her much beloved Dublin Murder Squad series. Cassie has moved on from the Murder Squad since In the Woods, but when a girl that looks just like Cassie turns up dead, she is pulled back into undercover work. She poses as the girl, Lexie, and lives in a big house with Lexie’s closest friends, who are all considered suspects. What Cassie doesn’t expect is to be captivated by Lexie’s world and not want to leave. The characters in The Likeness are incredible. Also it has major The Secret History vibes, which I adore. If you’re a longtime reader, you are no stranger to my love for Penny Reid. Dr. Strange Beard is the fifth book in her beloved Winston Brothers series. Roscoe is the youngest Winston and has been in love with his childhood best friend Simone for years. Roscoe has an eidetic memory, and when Roscoe confesses his feelings to a drunk Simone in high school, he cannot stop reliving her rejection. So he ghosts her and now ten years later, the two are forced back together because Simone, an undercover FBI agent, is supposed to track down Roscoe’s father, Darrell Winston. This was an amazing story for the sweet and charming Roscoe, but I loved getting to see Simone as quite the badass heroine. She hates lying to Roscoe, but cannot stop falling for him anyways. Now we have to wait a year for Billy & Claire’s story. Can I make it that long? Probably not. This is probably one of Patchett’s best known novels, and I am so glad I finally picked it up. In an unnamed South American country, there is a special birthday party for Mr. Hosokawa, a Japanese businessman, with famous soprano Roxane Coss as the entertainment. Terrorists storm the party and hold the partygoers hostage. Over the next few months, the hostages and the terrorists form bonds, even though they all speak different languages. I have loved everything I have read by Ann Patchett, and Bel Canto is no different. A movie version is set to come out soon with Julianne Moore, so that should be good! I cannot say much more than I already have about my love for Lara Jean Covey and Peter Kavinsky, but suffice it to say, it has become an obsession over the last few weeks. The book is fabulous, and the movie is one of the best adaptations I have seen in a really long time. Jenny Han has set the gold standard for YA rom-coms for me, and I need to go back and read her other books. Hopefully the last few months of 2018 will see some other wonderful books!